Happy Wednesday! 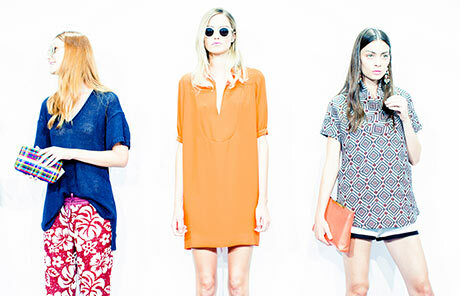 Today's Fashion Week Coverage is on one of the Blogasphere's favorite brands - J Crew. Since 1983, J Crew has grow to several extensions including Children, Men's, Wedding, and in 2006 the Madewell line targeting women ages 18-40. On the catwalk they even debuted Sophia Webster for J. Crew Shoes. Check it out! Designer Tom Mora wanted shoppers to put on their happy faces when they saw the Spring collection. It's a happy collection with fun new colors, prints and proportions. He actually drew inspiration from California surfer lifestyle. There were tons of casual separates and even a pair of sequinced jogging pants to spice it up. 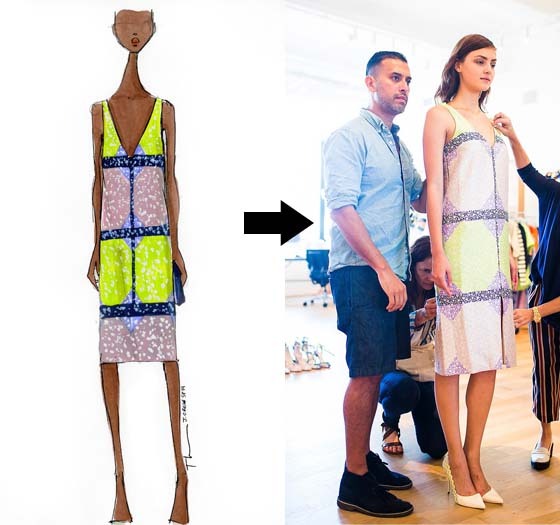 This engineered color blocked floral dress and is something that you can easily see on Michelle Obama. 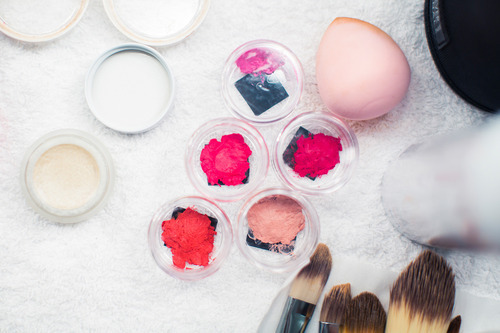 For makeup, it's all about colorful pouts and blushing skin. Go for bold colors in pinks, oranges, and fuchsias.. For a quick transition to cheek, apply the lip color to the apples of your cheeks. Try a multi-use product like OCC Lip Tars. A little goes a long way. To sheer it out, tap the product into your skin with your fingertips. 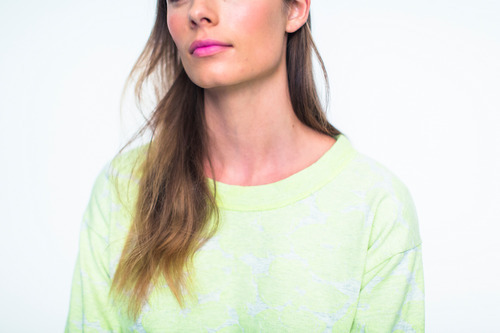 Apply a tiny bit of lip tar to each cheek. To sheer it out, blend it out with a damp Beauty Blender. So break out your sponges and fun lip colors! Don't forget! I'm hosting a huge giveaway to attend two master classes with Oprah's MUA this Sunday in New York as well as the chance to be his model! Comment on my FB page post here to enter and the most likes wins! FTC Disclosure: I host and pay for my own web store to house these products and receive a portion of the sales. This post contains affiliate links. These are my honest thoughts and opinions. 30% off Alcone at Home!